Welcome once again to Project Life Tuesday! I am taking a photo every day in 2010 and putting them together in an album to create a unique keepsake of this year for our family. 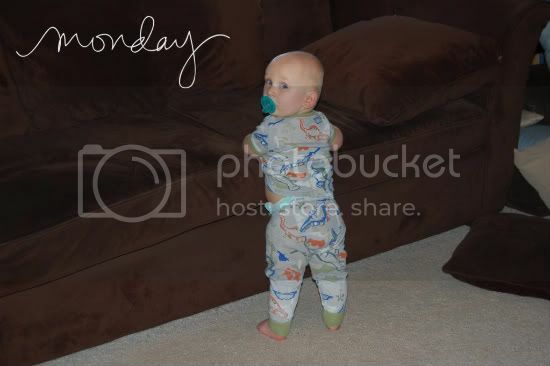 Be sure to check in on what others are doing with their project over at The Mom Creative! 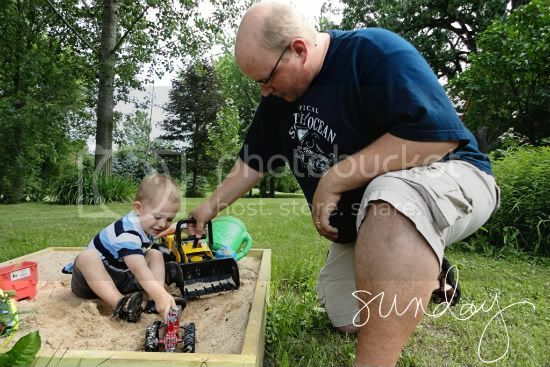 Sunday, June 20th - We went to visit my parents for Father's Day and Isaiah headed straight for the sandbox they built for him. In honor of Father's Day, I had to share this photo of Isaiah with his Daddy. 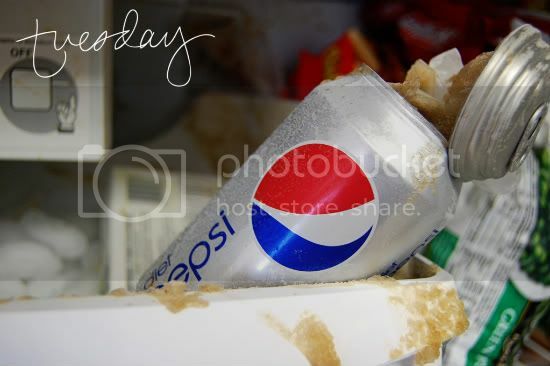 Tuesday, June 22nd - Evan put a Diet Pepsi in the freezer and then forgot about it. In case you've never done this yourself, this is the result. However, it is a great way to get your husband to clean the freezer! 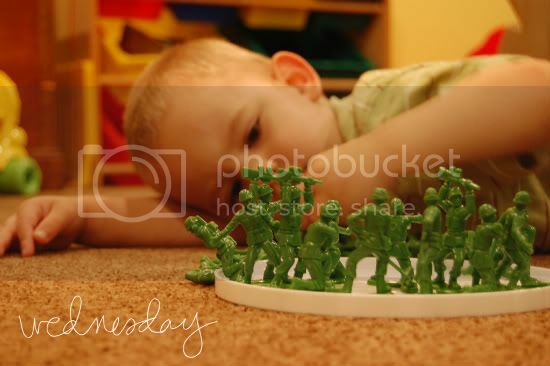 Wednesday, June 23rd - Isaiah loves to bust out his Bucket o' Soldiers and "play guys!" 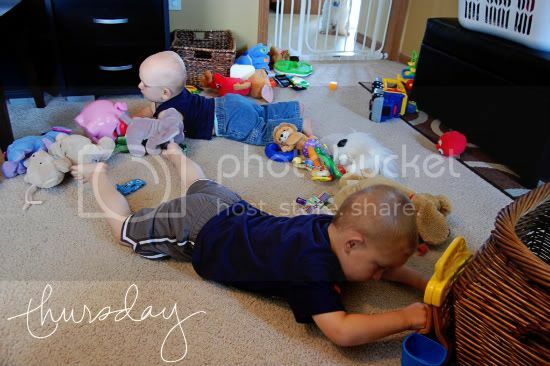 Thursday, June 24th - I know there are moms out there whose living rooms are always neat and tidy. Mine is not one of those. 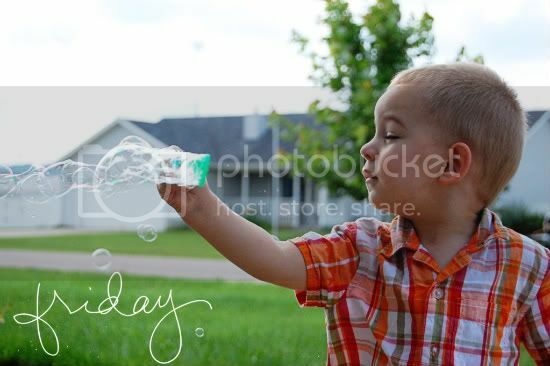 Friday, June 25th - Bubbles. One of life's simple pleasures! 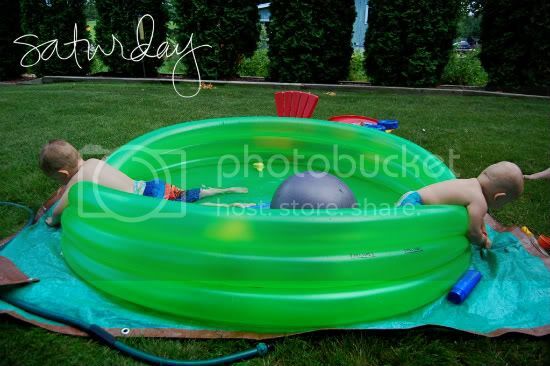 Saturday, June 26th - My boys spending a lazy afternoon in the pool at Grandma's. They work too hard, don't they?